Sure, you can create folders in iOS 7 to organize your apps better, but the folders only display 9 apps at a time, with a seemingly unlimited amount of pages. That could get fairly complicated and cumbersome. I would prefer if Apple made it possible to include folders within folders, so there is less swiping involved, an so I have better control over the organization of my home screen. Just imagine making a "Photography" folder, and within said folder you had folders to separate your "Filters," "Cameras," "Editors," "Photos," and other subcategories. 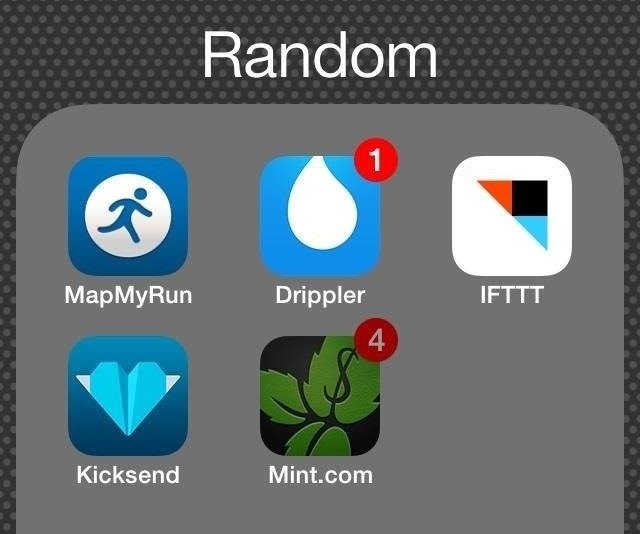 Wouldn't it be much easier to find the app you need than to just have them all in one folder? Well, it's possible. Apple may have omitted this feature from iOS 7, but they did include a bug which lets us create folders within folders on an iPad, iPhone, or iPod touch. It just takes a little work is all. 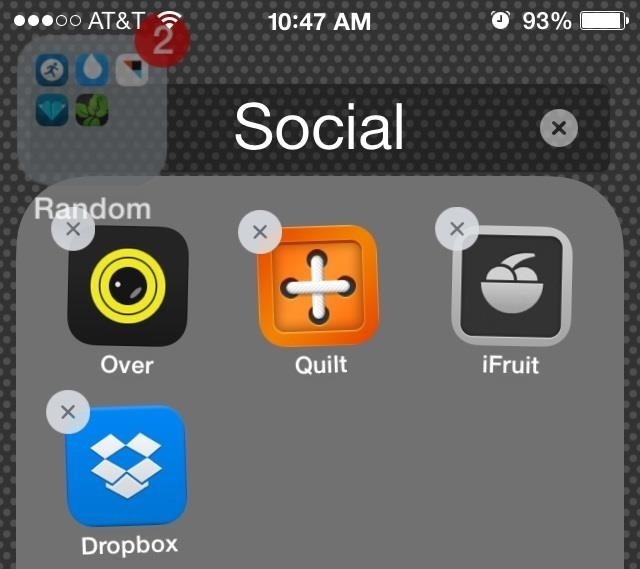 Take a few apps and create a couple of folders (at least two) like you normally would. 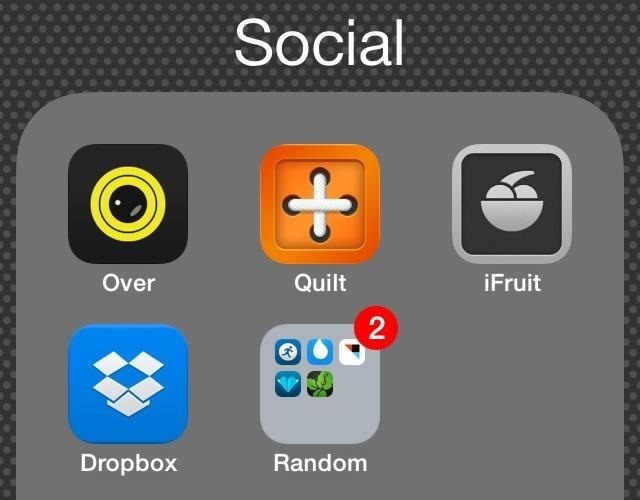 You may want to create folders that fit a certain category, like "Games" or "Social," but you can choose any kind of apps and name the folder as you please. Tap and hold on one of the folders (the one you want to move) until it turns gray in color. This starts the jiggling process where you can rearrange and delete apps in edit mode, but this IS NOT what we want to happen. Once the folder turns dark gray, double-press the Home button to bring up the multitasking menu—before the jiggling happens. Actually, you need to be so quick, that it's best if you double-press the Home button almost at the same time you tap and hold on the folder. If done correctly, you should notice that the gray highlighted folder is slightly enlarged in the home screen preview of the multitasking menu. 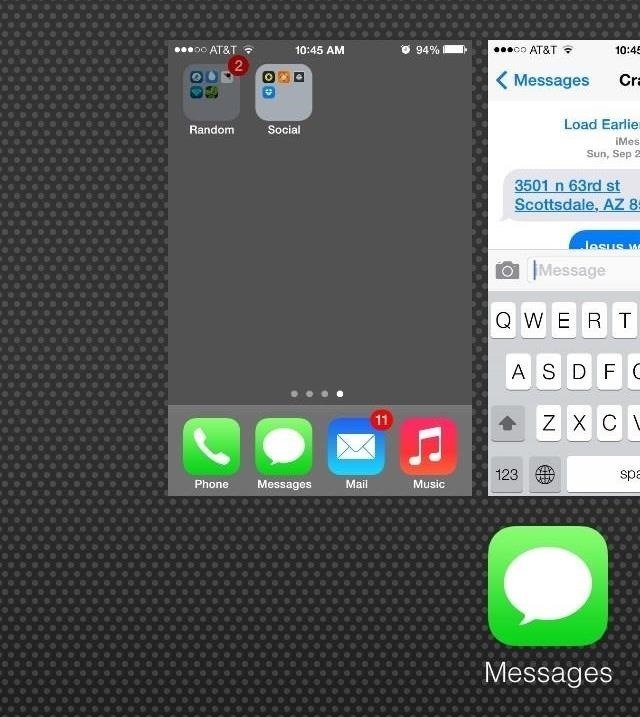 From the multitasking menu, you will need to tap on the home screen preview. DO NOT press the Home button to go back to the home screen—tap on the preview only. 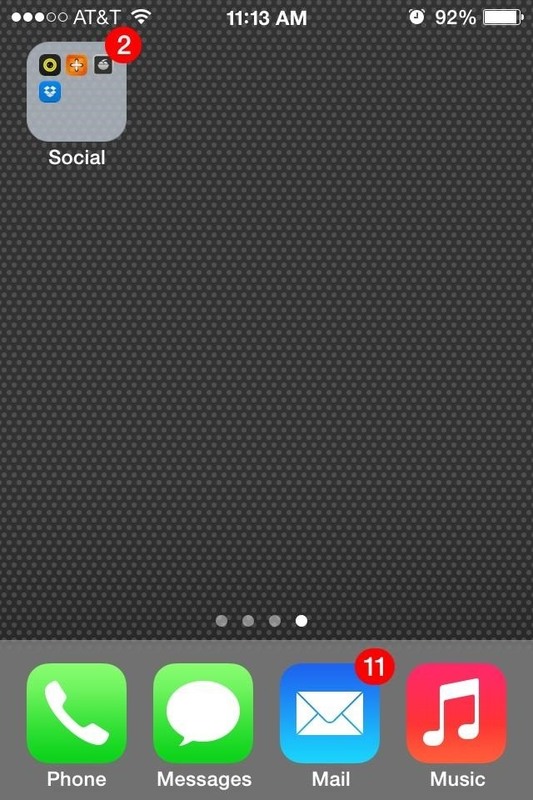 Now, that you're back on the home screen with your folder still grayed out, tap on the folder that will hold the other. In other words, tap on the folder that you want the enlarged gray folder to go into. If done correctly, the folder will open and you should see the grayed-out folder floating near the top left. 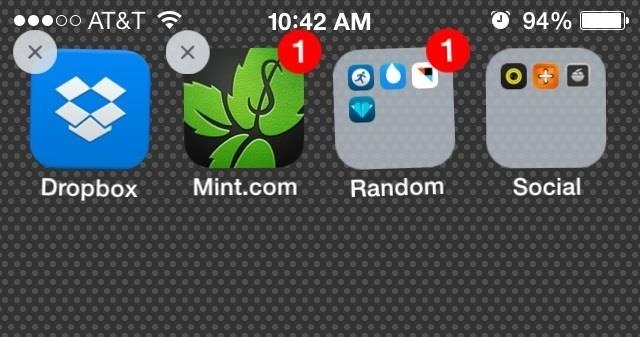 Now you can press the Home button on your iPhone and the gray folder will jump right inside your primary folder. It's as simple (or not so simple) as that. And just like the regular pages within a folder, there is no limit on how many folders you can add to an existing folder. The only thing holding you back is your willingness to do this process over and over again. You may notice that when viewing the main folder on the home screen, the folder contained inside will not be visible in the preview. 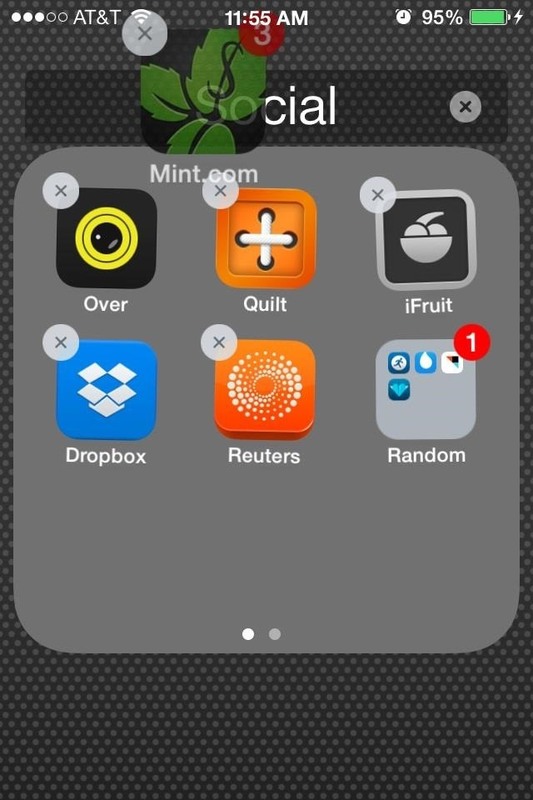 Once you tap on the main folder, your inner folder will appear. You can take apps out of the embedded folder, and rearrange the apps inside it as you see fit, but when it comes to actually adding new apps to the folders, things get a little more complicated. We were almost in the clear, but if you wish to add an app to a folder-within-a-folder, you're going to have to get nifty again. What you'll need to do is repeat the process outlined above for every single new app you want to add to an inner folder. So, you will tap and hold the app you want to move and double-press the Home button. Make sure to get it before the apps begin to jiggle. Once the app turns gray, tap on the home screen preview to return. Again, do not press the Home button to return—tap the preview. 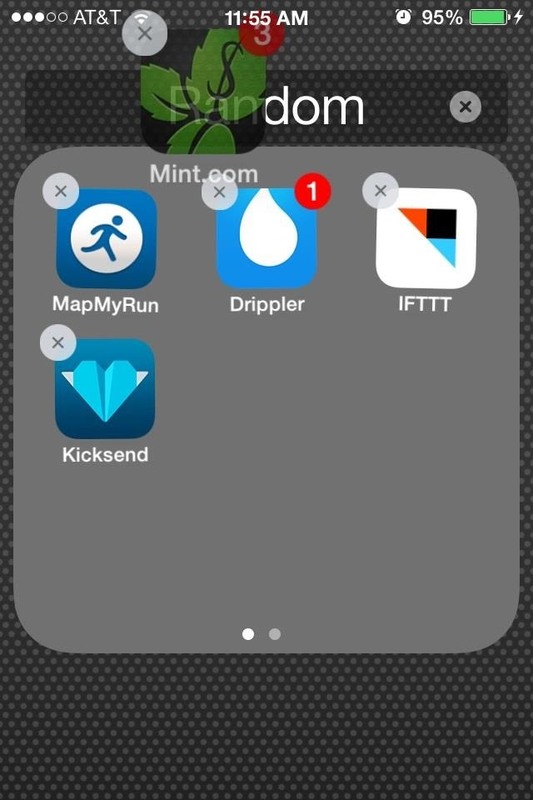 Click on the first folder (the one with the folder inside), then click on that inner folder If done correctly, you should see a grayed out image of the app you're trying to move in the top left. 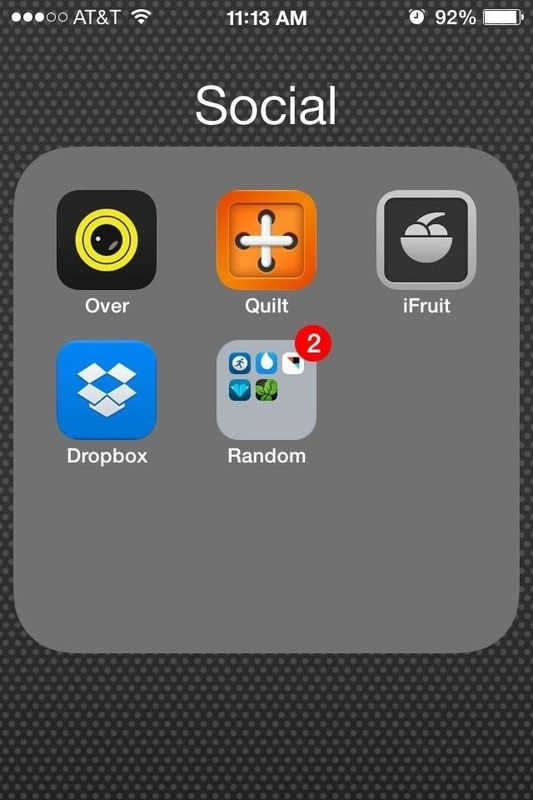 When inside the inner folder, click the Home button once and the app will jump inside. Before, if you restarted your device, it would reset all of the folders and apps, but now, even if you restart your device, they will not go away. 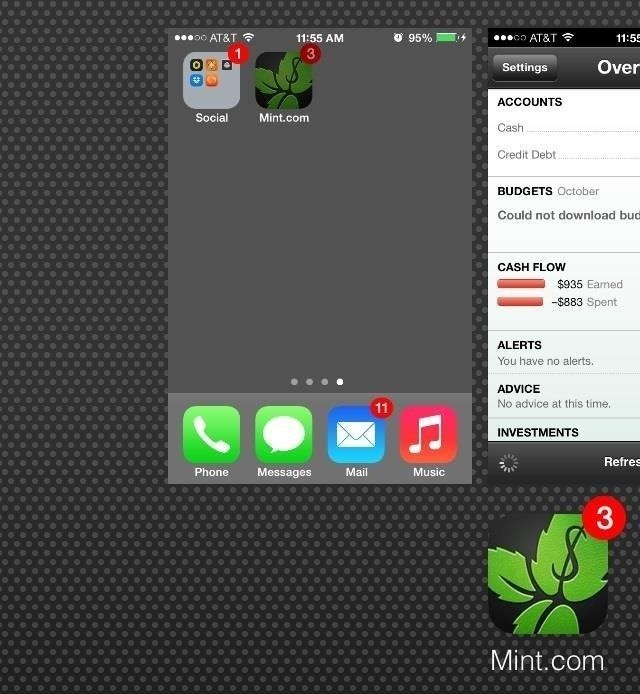 The folders and apps will stay exactly where you placed them. Now you have the ability to add numerous applications and folders into one place, saving a ton of space and giving your way more flexibility on your home screen. 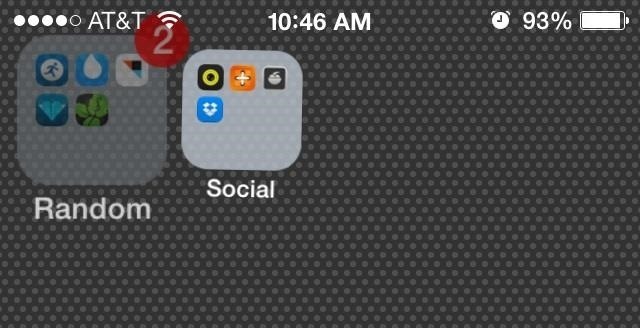 For other ways to organize your home screen, check out the glitch that lets you hide app icons, how to customize your wallpaper, removing folder labels, and how to move app icons to wherever you want. Well, I gave it a try. Actually, quite a lot of trys. I just couldn't do it. Whenever I try to double-click, it just stops all the apps from going to edit mode. I even tried the way to get to multitask by swiping up with 4 fingers and it was a no-go. Then, I had an idea to try of how I used to get the magazine rack in a folder by combining 2 apps to create a folder and then as the creation was just starting, I'd throw the magazine rack in. That was a tough one to do as well. This time, I tried merging 2 apps into a folder and throwing another folder in, but they seem to have all other apps pretty well locked down so nothing can be moved until the first app you are moving is settled. Plus, when a new folder is created, it opens up big leaving no room to drop anything else in it, which is a disappointment. I really wish they'd added a way to put a folder in a folder, but when I consider how far the whole folder system has come and appreciate how many apps I can now stick in a folder, I'm okay with waiting until they officially add this feature. I do wish that Apple just had a standard feature for this, but until then these tricks are the only way. I just tried it again, and it seems they still haven't fixed this glitch. You just have to make sure that you double click the home button as soon as the icon turns gray. If it is grayed out in the preview then you are good to tap on the tile and follow the next steps.